Last week, I had the great privilege to travel to Dallas, TX and spend the day at the offices of Insight for Living. My colleagues knew that I was pretty nervous about this trip; there were so many “moving parts” to organizing the whole day, and I wanted everything to fall into place! However, my worry was needless, and our team enjoyed a fabulous time with the Insight for Living “family.” I’m excited to introduce you to them over the next couple of weeks. Today I want to introduce you to Jonathan, who is the 14 year-old son of Colleen Swindoll-Thompson, and the grandson of Chuck and Cynthia Swindoll. Jonathan will be featured as a speaker for Inclusion Fusion, and he has much insight and wisdom to share about the Church’s role in soothing broken hearts. 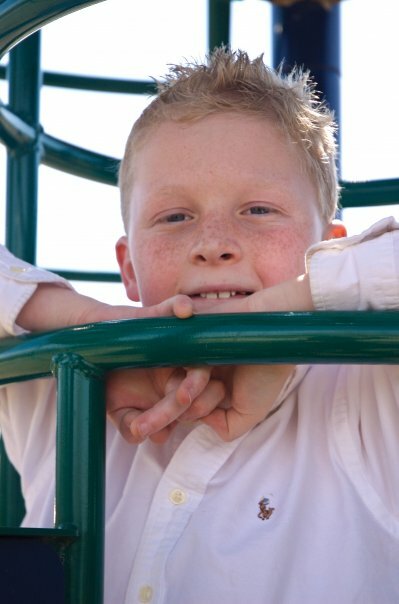 Jonathan has been “labeled” with complicated diagnoses as he has grown up. While these diagnoses help his teachers, therapists and family understand him and his needs, the label that most aptly describes him is “Child of the King.” This is a label he wears proudly, and because of this, he has much to teach. I have “known” Jonathan for several years, as Colleen and I have been friends and colleagues, sharing our kids’ triumphs and struggles. Until our trip to Dallas, however, I had never actually met him. When he rounded the corner in the Insight offices, I knew right away that this long-anticipated moment had arrived. His bespectacled eyes regarded me, and he sized me up. “We’re equal,” he said solemnly. I smiled. “We are.” I slipped off my heels and said, “And now we’re even more equal!” He compared his height to mine, smiled and nodded and then off he went to find a spot to read. During our day at IFL, we adults talked a lot about God, suffering, prayer and theology. The discussions were enriching, and both stretched and comforted me. However, nothing that was said came close to inspiring me the way Jonathan’s statement did. In two words, he wrapped up 1 Corinthians 12 in a delightfully boyish and joyful package. We’re equal. All of us…regardless of size or diagnosis or strengths or needs…and we’re all necessary to what God has planned for the Church. If you doubt this…if you wonder where you “fit” in the Body, please register for Inclusion Fusion and hear more about what Jonathan has to say! I love this post…it so beautifully sums up what God wants us to know about our time here on Earth, until we meet Him! Katie. Thank you for sharing!! Wonderful story! sounds like you had a great time. I love special needs children. Jon’s a pretty profound guy. I think he and his family will be doing some pretty big things in building God’s Kingdom in a couple of weeks.